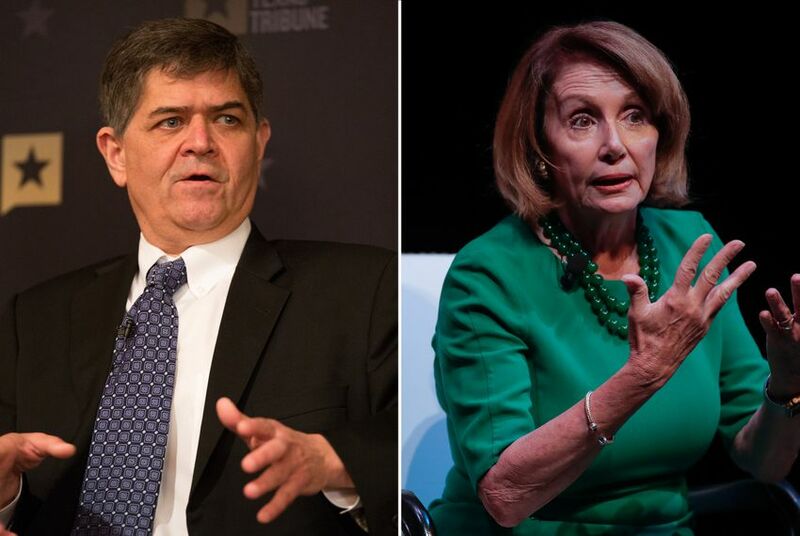 U.S. Rep. Filemon Vela, D-Brownsville, continued his efforts to oust House Minority Leader Nancy Pelosi as the Democratic leader on Monday by putting his name on a letter stating that he and his co-signers "believe more strongly than ever that the time has come for new leadership in our caucus." Fifteen other members and members-elect signed the letter — a number that could create problems for Pelosi's move to return to the speakership. "She is a historic figure whose leadership has been instrumental to some of our party's most important legislative achievements," the letter stated. But, the letter continued: "Our majority came on the backs of candidates who said they would support new leadership because voters in hard-won districts, and across the country, want to see real change in Washington. We promised to change the status quo, and we intend to deliver on that promise." To become speaker, she will need to secure an estimated 218 votes on the U.S. House floor. There is some question about the exact number because of outstanding House races and the possibility that some members could choose to vote "present" rather than against her. The move on the part of these lawmakers is highly controversial. Much like the Freedom Caucus on the Republican side, they are a small minority within the larger caucus but are potentially able to impose their worldview because they can impede their party's ability to secure a majority of the full House. Former U.S. House Speaker John Boehner, a Republican, was effectively forced from office in 2015 due to a similar dynamic. Two years ago, Vela backed Pelosi's bid as House minority leader. But months later, he called on her to resign from that post after the party lost a special election in Georgia. He is the only Texan to sign the letter. A number of other Texans have announced they support Pelosi. On Sunday night, one of the more prominent delegation members, U.S. Rep. Joaquin Castro of San Antonio, endorsed Pelosi on Twitter. Should Pelosi fall, the likely result would be a full-scale scramble among leadership that would create much uncertainty going into the new Congress. Many House Democrats are unamused with this effort, wishing to present a unified front as they take control of the House and aim to counter much of President Donald Trump's agenda.